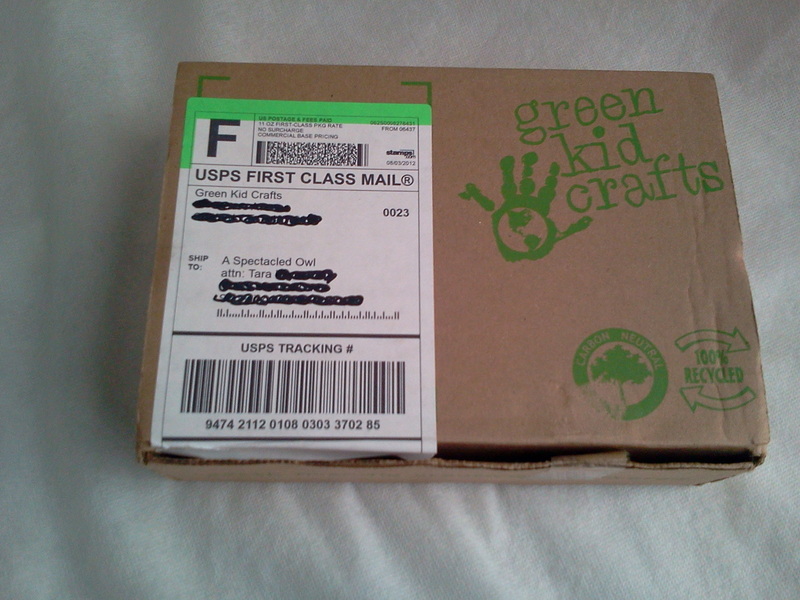 Green Kid Crafts is the original earth-friendly, craft subscription company. 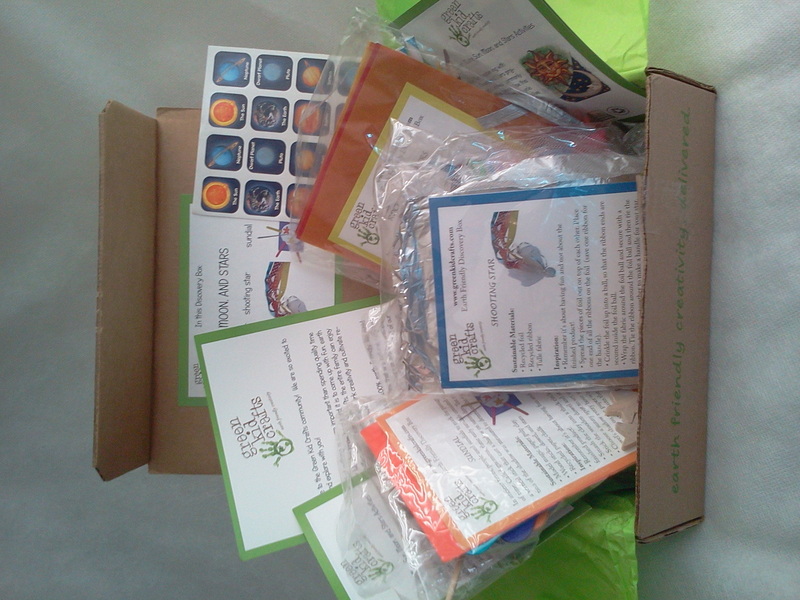 For $19.95/mo, Green Kid Crafts will send you a box with at least three great projects. These projects are geared towards kids 2-8 but my 9 year old daughter had a great time doing this with her 4 year old brother. You get everything included in the box to make your three crafts (all you will need to supply are glue and scissors!) 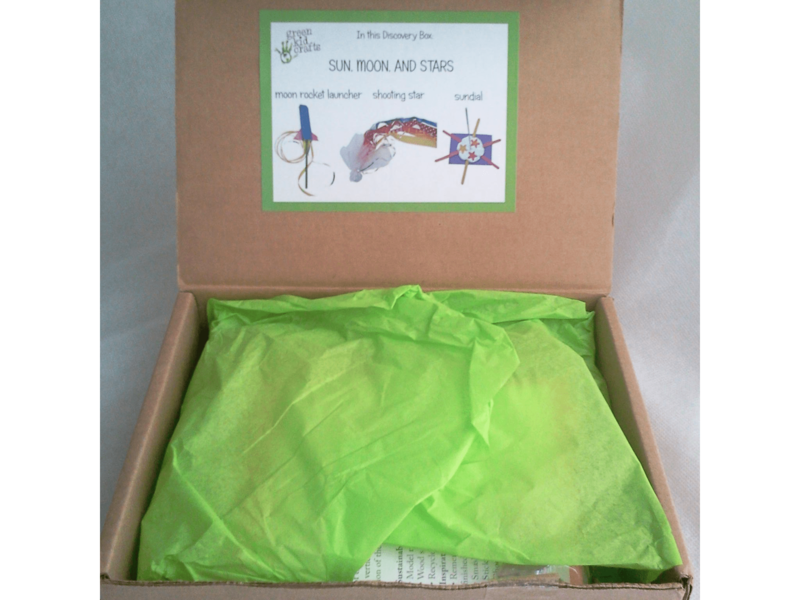 Green Kid Crafts ships anywhere in North America and shipping is FREE! But, the best part about Green Kid Crafts is that they offer natural, sustainable, and responsible choices for craft projects. They use recycled materials as much as they can, they avoid things like craft foams and plastics, they make sure that all the supplies can be recycled and they use recycled labels and paper envelopes for shipping. The kit came with a sheet explaining what Green Kid Crafts is, the three crafts individually wrapped (in each bag are the supplies & easy to follow instructions), we got stickers with all the planets on them and also a brochure that gave us ideas on other crafts we could do that also had to do with the sun, moon & stars. I also love that the #1 instruction on each of the crafts is that it’s about the process and having fun and not about the finished product. Always great to remember! Ashlyn (9) and Ryan (4) were so thrilled to work on these crafts. The theme we worked on was Sun, Moon & Stars. They really enjoyed working on the moon rocket launcher (I had a lot of fun with that one too! ), the shooting star & the sundial. Ryan has been using the planet stickers that we got with the kit on all of his yellow pieces of construction paper (he’s obsessed with yellow!). As I type this, Ryan is running around the house with the shooting star…a day later. So, he obviously enjoyed it! Head on over and check out Green Kid Crafts on their site, their Facebook page, and on Twitter.